Jax is Rad because of locals like Josh Cobb. 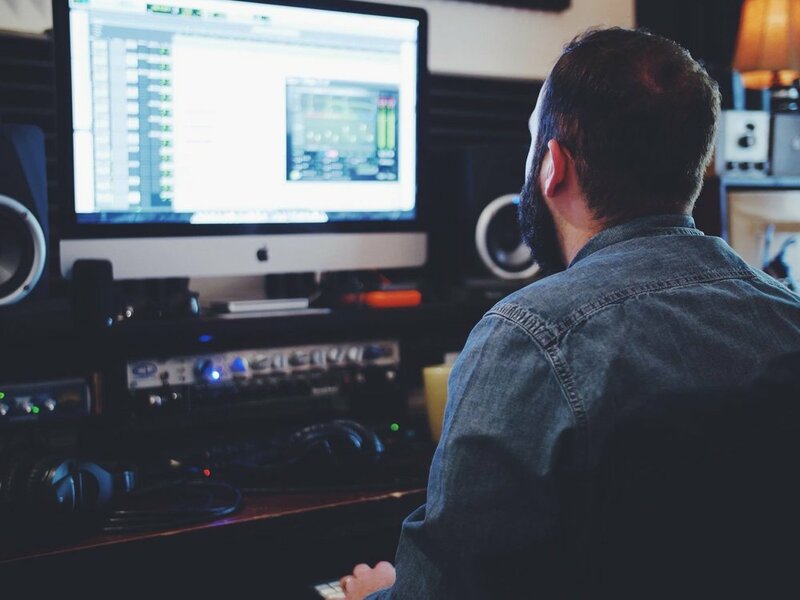 A talented musician, record producer, and songwriter based right here in Jacksonville. He’s our first featured local for good reason. He’s an amazingly talented and humble guy who lights up when he plays guitar and is an expert at finely crafting music to it's full potential. When he’s not in the studio, he can be found around town at Nighthawks, Jack Rabbits, and 1904 Music Hall where he is singing and playing guitar in his band, Winter Wave. I grew up on a dairy farm in northern New York but moved to the First Coast when I was 15 and have lived around here half my life. Lewis County, NY is basically the Winterfell of the United States. It’s not quite beyond the Wall...but it’s pretty close. After begging my parents for two years for a guitar, they finally gave me one for my 8th birthday. I taught myself how to play guitar by listening to records, picking out the different sounds, and trying to figure out how to recreate them. My buddies and I started a band in high school called My Getaway and gained a pretty solid following thanks to MySpace, which allowed us to tour the country and experience that whole side of “the industry.” We were together from 2003-2009. How did Rockbot Studios get started? Every time our band went into the studio, the final product never really met our expectations. We had a lot of bad experiences until we met Jim Nefferdorf from Port Orange, Florida. Jim was completely different because he spent a lot of time working with the band to make the best product possible. He had a home recording studio and until then, I didn’t realize you could make amazing sounding records in a garage. He became a valuable mentor to me and I still seek guidance from him today. Using what I learned from Jim, I started producing my band’s demos and soon started working with other local bands as well. In 2011 I was living in St. Augustine with my girlfriend (now wife) when she graduated from Flagler College. She wanted to move to Jacksonville to find a job and I’ll admit… I was hesitant at first. But once we discovered Riverside, the 5 Points area, and the CoRK Arts District - we fell in love with it! We’re always finding new things to do and really enjoy being a part of this community. My biggest success is supporting myself and my family, buying a house, and getting to see the country through playing music. I feel very lucky to get to work with a lot of incredibly talented bands and musicians. When a song I produced for We Still Dream hit over 1 million plays on Spotify, that was an exciting milestone. There are several artists I’ve worked with recently who I think are on the verge of really taking off: The Dog Apollo, Supros, and Chasing Jonah... just to name a few. How have you achieved so much success at Rockbot? Listening to the client is key to figuring out what kind of music they want to create and how to make the record sound amazing. One of the first things I do before starting a project is ask the client for a list of bands or songs they are really into at the moment. Also, a lot of my success comes from word of mouth and referrals so building strong relationships is important. I love to grab a bottle of wine and have a picnic in the park with my wife, Bonnie. Going to local concerts is always a good time, too. I've been to a lot of cities: Nashville, Chicago, New York, LA... but Jax has what a lot of them don't… room to grow. Add the networking that goes on in Jacksonville and you realize you know pretty much everyone because it is has a small town feel. It has a big-city things to do too, though. And in Jax, there's always an opportunity to play or listen to live music. How are you making your mark in the city? I try helping people grow as musicians, give them a great product, and teach them how to build their musical career. Breaking ground in my new recording studio. Jax is rad because you get that combo of a small town feel, but more diversity of a bigger city. Any given night you can find a place with live music. And you can stand out and make your mark. 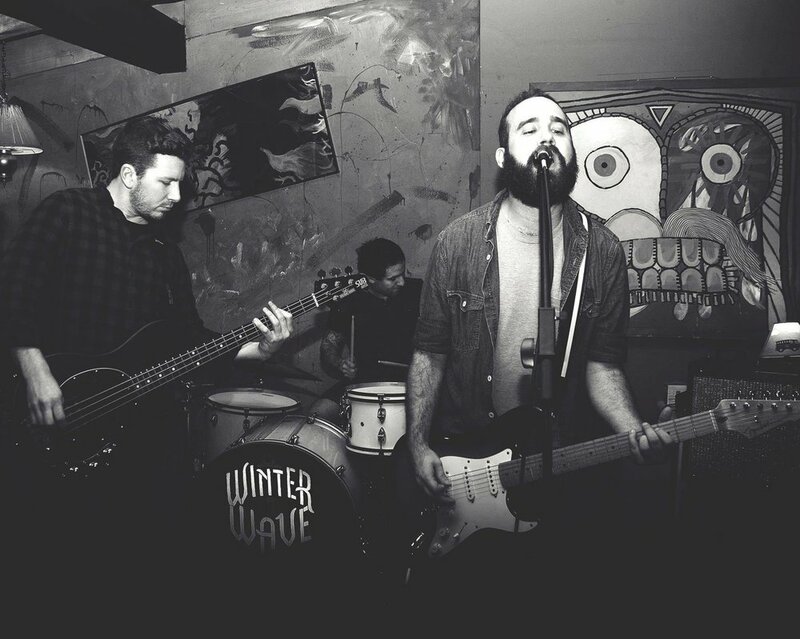 Check out the Winter Wave (@WINTERWAVEBAND) and Rockbot Studios (@ROCKBOTSTUDIOS) Instagram and Facebook accounts. Or, you can follow my personal account (@JOSHCOBBB) for mostly pictures of my cats. Check out Josh's band resume here!